Combine in a small sauce pan and heat until melted. Take three fresh limes, cut and squeeze into a large mixing bowl or pot. Slowly pour and stir the melted mixture into the lime juice. You don't want the warm brown sugar to crystallize. Add the Pistachios and mix by hand until well covered. Let set for 30 minutes before putting in the smoker. For the cashews, I didn't see anything on these. So I'm trying 2lbs with a simple mix of 1 1/2 teaspoons melted butter, 1 teaspoon Worcestershire and one teaspoon of salt. Hanging out with the Pistachios. I dont have frog/jerky mats so just using foil on my racks. Closed the vent a little to help with the smoke. Pulled after one hour of maple smoke. Due to the sugar content, the Pistachios stuck together a little. But a quick rub with the hand, everything broke up. The Cashews smell awesome. Time to let everything cool, then sealed to get happy. Looking good! Nothing says Christmas like smoked nuts. Did 4 pounds of smoked Pistachios a couple weeks ago and shared some with people at work. Now one of my co-workers wants to make their own. Only problem, no smoker. She does have a BBQ but it has no temp gauge and no means of measuring temp. Would it be possible to do this in the house oven adding a little liquid smoke to the recipe? Looking for suggestions. 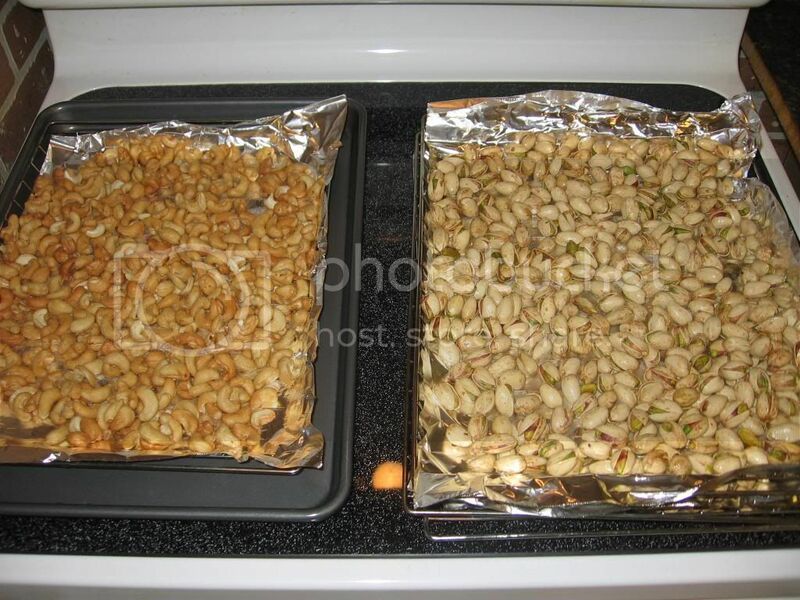 I have done the blazin' pistachios without smoke, in the oven. Still pretty good but smoked ones have a far more complex flavor. 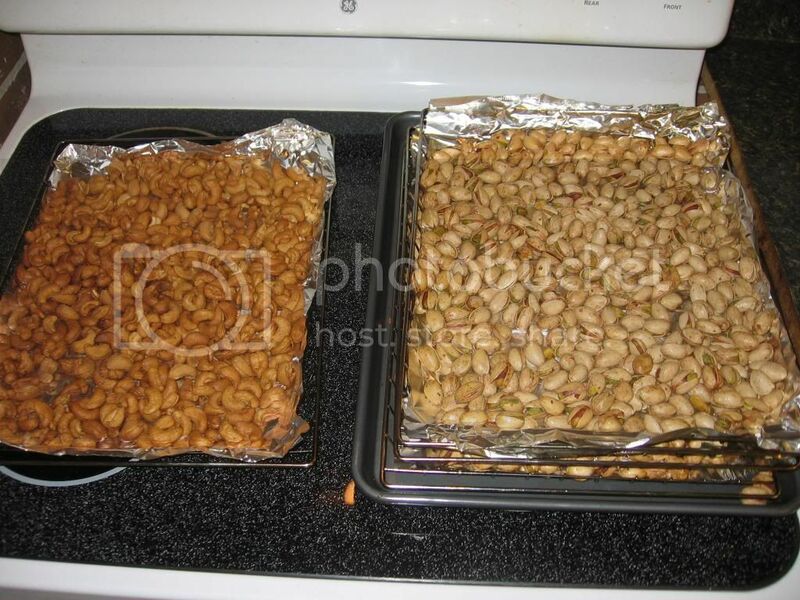 I also do almonds with a sweet/spicy mix in the oven, and they are really good. Never tried liquid smoke. The good news is nuts are fairly cheap, so it is fun to experiment and eat mistakes.